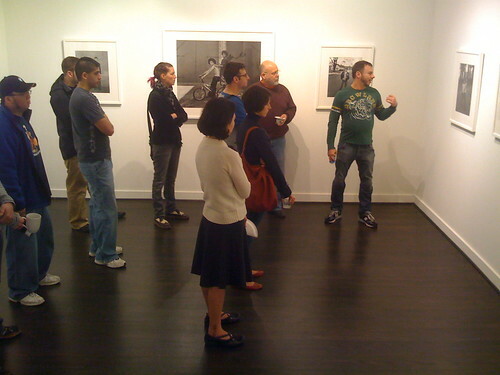 Met photographer Richard Renaldi yesterday at the artist’s talk he gave about his new exhibition “Fall River Boys” at Jackson Fine Art. 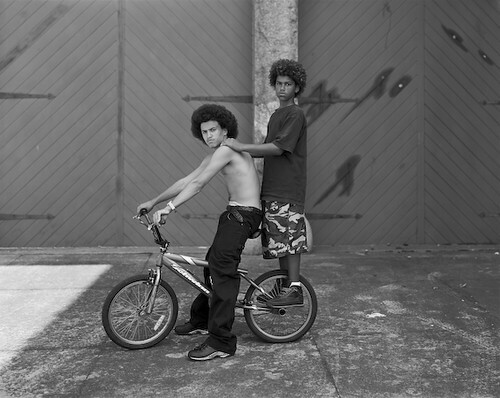 “Fall River Boys” is a project of street portraits of young men in Fall River, MA, that took Renaldi nine years. The silver gelatin prints from Renaldi’s 8×10 draw you in, and draw you back. Their clarity and substance was remarkable. “Javie and Omar, 2004” below, is a large print in the show, and it just glows. Richard and his partner have started a new imprint, Charles Lane Press, of which “Fall River Boys” is the first title, and it was released on Friday night. If you care about photobooks, and the quality of the plates and printing; check it out. So glad to see work by a photographer who’s engaged with making fantastic prints, high-quality books, and great pictures. It’s a rare triumverate. Keep up with Richard and his latest work via his blog, ok?